As teen drivers get behind the wheel to head off to school, there are steps parents can take to educate and prepare their teens to help prevent car accidents. Teenage drivers are at the greatest risk of becoming involved in deadly motor vehicle crashes. The risk of car crashes increases if teens carry passengers or drive at night. The risk can be most severe in the early morning hours when teens are more likely to be drowsy and increased vehicle and pedestrian traffic makes roadways more congested. The increased freedom a vehicle provides also increases the potential for the child to take unscheduled trips including late night food runs, last minute dates, cutting classes, etc. These trips are often excitement filled journeys that create plenty of potential for distracted driving accidents. Teenage drivers in Nevada are required to obtain a learners permit before they can obtain a full license. Drivers under 18 must receive a certificate of completion from a recognized driver’s education course and pass a written exam before obtaining their learner’s permit. However, while this ensures they have the basic knowledge to drive, it does not mean that the teenage driver has mastered the skills required to safely operate a motor vehicle. Prior to receiving a full license, teens must complete a minimum of 50 hours behind the wheel. Once a license is obtained, drivers under the age of 18 are not allowed to transport passengers, excluding family members, during the first six months after the date the license was issued. Parents should play an active role in keeping their teens safe as they get behind the wheel. 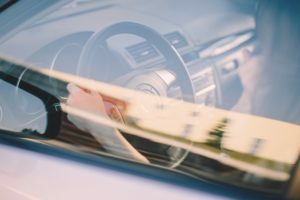 Teaching, modeling, and reinforcing good driving behaviors go a long way towards reducing the risk of a motor vehicle accident involving a teenage driver. Parents should regularly quiz their child regarding the rules of the road and should correct any deficiencies in their child’s driving habits. They should also ride with them and coach them on how to safely navigate and handle the various road conditions they will encounter including rural roads, city streets, highways, rain, snow, etc. Most importantly, parents should not shy from taking the keys away from a teenage driver who chooses not to drive safely and obey the rules of the road.